Enjoy top class restaurants in Lima, the culinary capital of South America. Explore Buenos Aires and experience one of Argentina’s best known contributions to culture - the Tango. 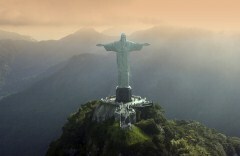 Be dazzled by Rio’s incredible sights including Copacabana Beach, Christ the Redeemer and Sugarloaf Mountain. Day 2: Morning city tour of Lima followed by afternoon flight to Cusco. Day 3: Cusco City tour. Day 4: Tour of the Sacred Valley and afternoon train to Machu Picchu. 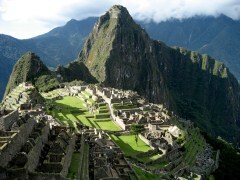 Day 5: Machu Picchu morning tour including option to trek Huayna Picchu. Return to Cusco. Day 6: Cusco to Buenos Aires flight. Day 7: Buenos Aires City tour. Evening Tango show. 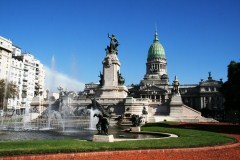 Day 8: Buenos Aires - Recoleta & Palermo half day tour. 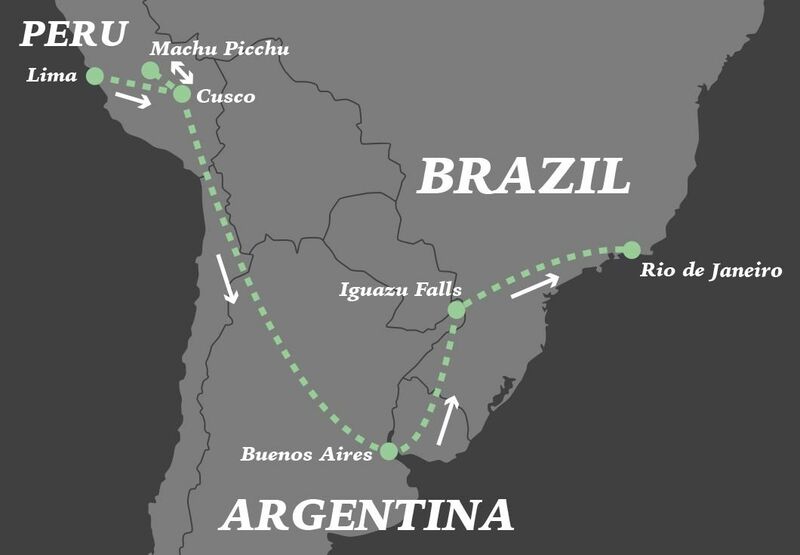 Day 9: Buenos Aires to Iguazu. 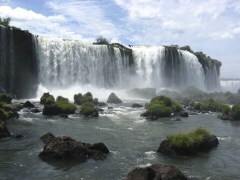 Day 10: Argentinean Falls tour. Day 11: Brazilian Falls tour. Afternoon flight to Rio de Janeiro. Day 12: Corcovado ‘Christ the Redeemer’ tour & Santa Teresa. Day 13: Sugarloaf Mountain tour. Add in a 3 or 4 day side trip to the Amazon. Consider a side trip to the magnificent Galapagos Islands. Further explore Andean scenery and culture with visit to legendary Lake Titicaca. Break up the long flight home with a stopover in Santiago. On arrival in Lima you are taken to your hotel. The evening is at your leisure and we recommend venturing into one of Lima’s many outstanding restaurants in the “Gastronomical Capital of Latin America”. In particular we suggest you sample Ceviche, the national dish of Peru, which is a form of citrus-marinated seafood. On the way to Lima’s downtown we pass by ‘Huaca Pucllana’ an ancient adobe pyramid structure which served as one of the region’s most important ceremonial temples between the years of 200 AD and 700 AD. We continue to the San Isidro district and visit the impressive ‘El Olivar’ park before stopping at the Pisco Museum where you have the chance to taste Peru’s national drink, the ‘Pisco Sour’ (optional, not included). Later we visit Lima’s downtown with its historic and traditional buildings: the Presidential Palace, the Cathedral, the Archbishop’s palace and the Metropolitan City Hall surround the Main Square. Continue to San Francisco church and monastery, a 17th century jewel, recognised as a cultural heritage site by UNESCO. 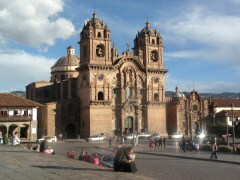 On completion of the tour you will take a afternoon flight to Cusco where you are met and transferred to your hotel. We suggest you take things slowly today in order to acclimatise to Cusco's altitude, or even add in an additional day for relaxation. In the evening, there are many excellent restaurants to choose from in Cusco. Today, we discover the Sacred Valley of the Incas on this full day excursion. This fertile river valley was home to many important sites for the Incas, both strategic and religious. Travel to the scenic town of Pisac where you'll visit the colourful local market and have free time to search for a souvenir or two before enjoying a typical Andean lunch at a local restaurant. 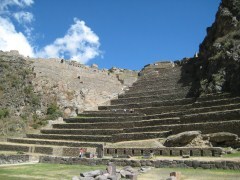 We’ll then continue our journey along the River Urubamba, to Ollantaytambo, where you will visit the Ollantaytambo Ruins and one of its best preserved areas, Hanan Hucaypata. Catch the scenic afternoon train to Aguas Calientes where you will spend the evening and prepare for your early morning visit to Machu Picchu the next day. Includes guided tour, and return bus from Aguas Calientes village. Return to Cusco by train. Our representative will pick you up from your hotel and transfer you to Cusco airport for your departure flight to Buenos Aires via Lima. On arrival in Buenos Aires you will be met by our representative and transferred to your hotel. The evening is at your leisure and we recommend you try a local parilla (steak house) for dinner. *Before your show, you have the option of arriving before the others and taking a short tango lesson with a professional dancer. Morning at leisure to further explore Buenos Aires before our representative will pick you up from your hotel and transfer you to Buenos Aires airport for your departure flight to Puerto Iguazu. On arrival at Iguazu airport you are transferred to your centrally located hotel. Our representative will pick you up from your hotel and transfer you to the airport for your flight to Rio. 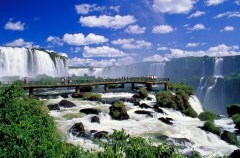 On the way to your Iguazu hotel, you will enjoy a tour of the Brazilian side of the falls. Here, you'll watch as 14 separate waterfalls drop with such force that a tall cloud of mist stays permanently suspended overhead. Great photo opportunities abound, however, raincoats are highly advisable! On arrival in Rio you will be met and transferred to your beachside hotel and enjoy the evening at your leisure. We recommend trying a local churrasco (Brazilian BBQ) for dinner. Our representative will pick you up from your hotel and transfer you to Rio de Janeiro airport for your departure flight. Accommodation with private facilities, international airfares to/from Auckland (*supplement may apply from other cities), internal airfares, hotel taxes, entrance fees, tours with English speaking guides, transfers, meals as specified. Airport entrance/departure taxes, gratuities, travel insurance, any items not mentioned as included.